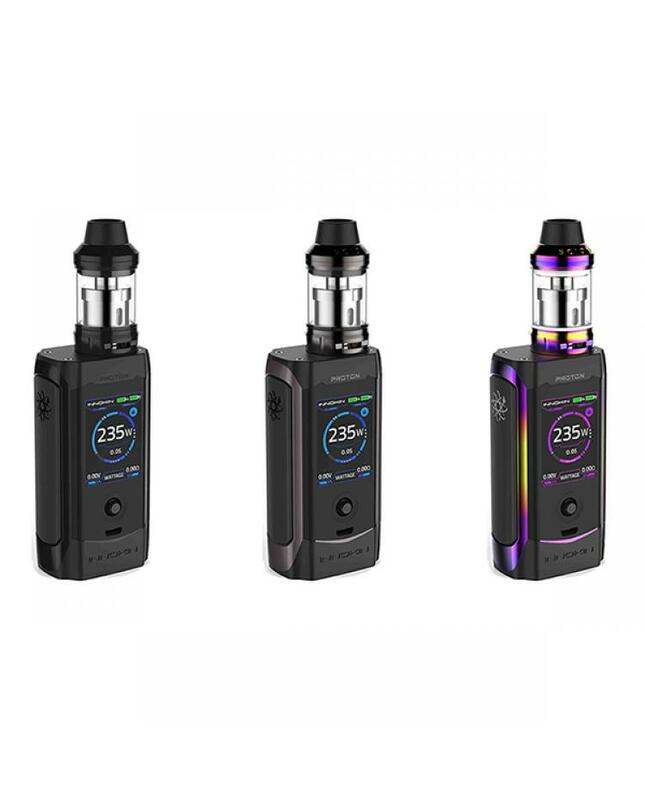 Newest Innokin Proton 235W Vape Kit, 3 colors available, the new 235watts e-cig kit includes proton vape mod and scion 2 tanks. 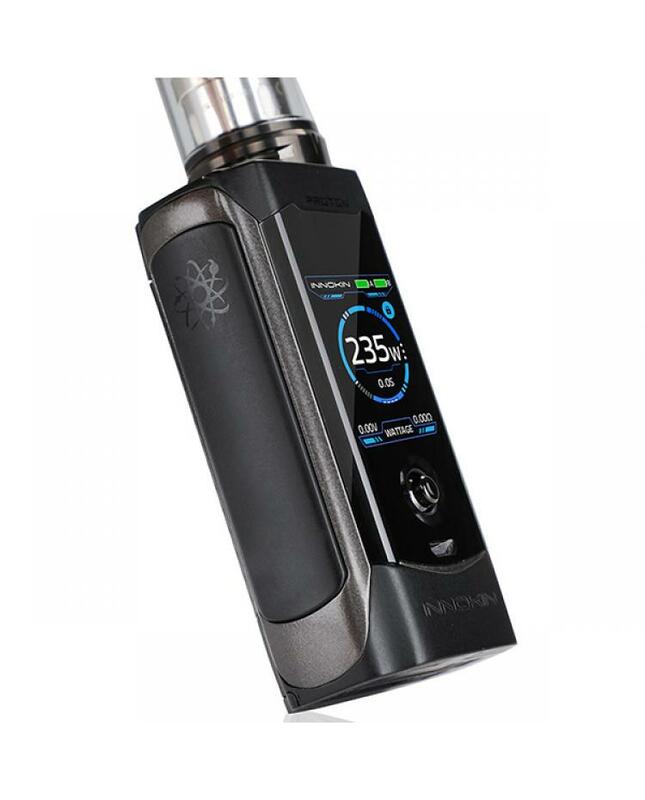 the proton mod features brand new 235w chipset, large and ergonomic side fire panel, first of its kind joystick-style selector, simply move the button left or right with your thumb to adjust the wattage. 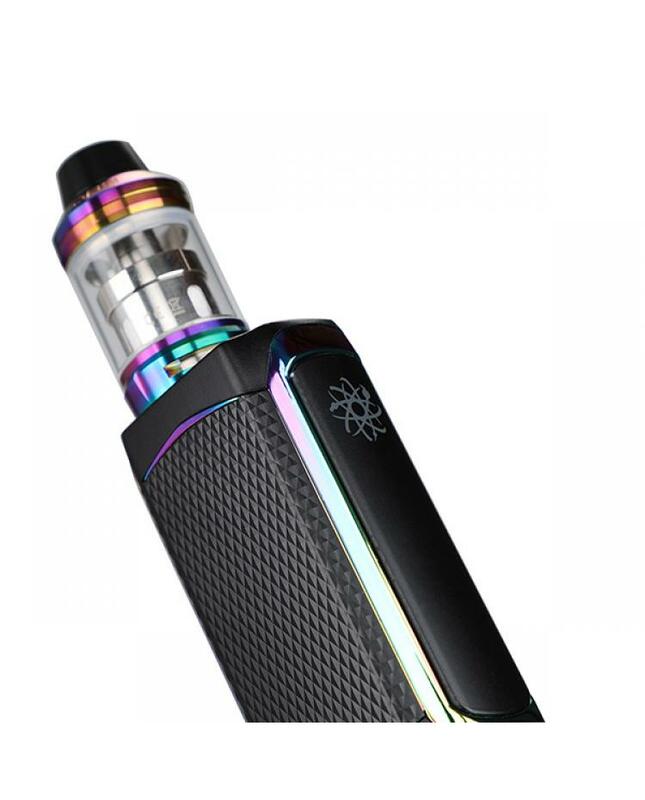 the innokin temp control mod with 1.45inch colorful screen allows you to choose among 6 colors for your preference, the onboard memory function allows further customization of your vaping experience. 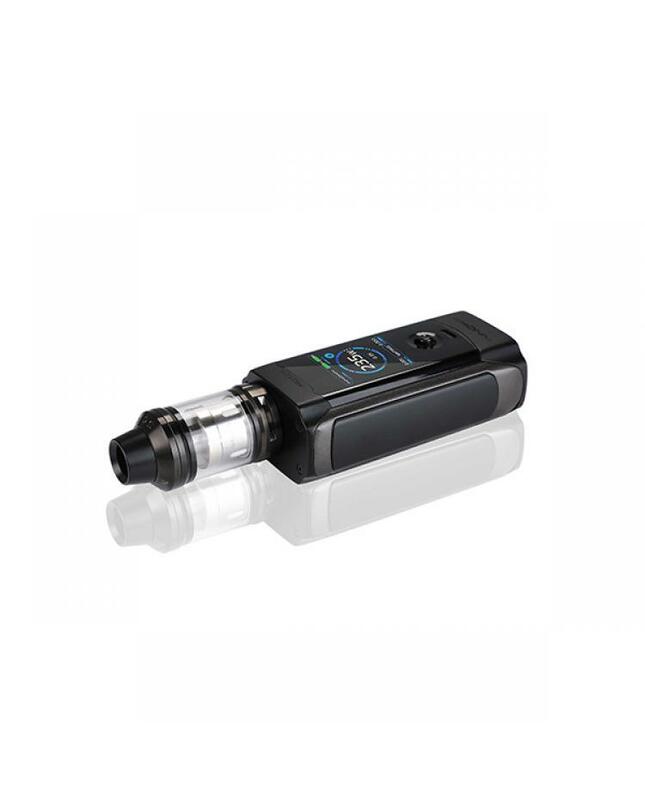 it supports nickel 200, titanium and SS316 vape wires under temperature control mode. 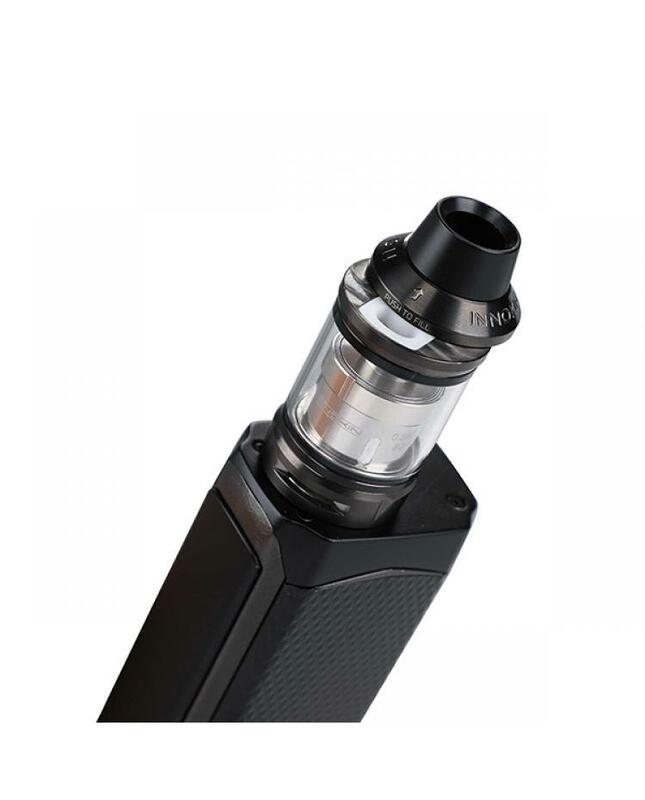 the innokin scion 2 tank can hold max 5ml e juice, featuring slide top refilling cap and brand new coil plexus, large bottom airflow adjustable slots allow you to adjust the airflow easily. the innokin plexus coil is composed of a whole KAL panel with aligned holes, this structure guarantees excellent stability and durability. which can bring you a stable great flavor. with higher working wattage, it delivers stronger throat hit.